Thirsty Pilgrim: Here's a Fun Game: How Many of the 80 Beers Can You Pick Out from this Photo? Here's a Fun Game: How Many of the 80 Beers Can You Pick Out from this Photo? The front cover I posted before was stand-in. A dummy. A fake, if you will. Here's the real deal, Holyfield. Meanwhile, books should start going out from Cogan & Mater headquarters the first week of June. Many thanks to those of you who have already pre-ordered—and also to anyone who has helped spread word to those who could use a book like this. Copies of Tim's Good Beer Guide to Belgium will be out a little before that. Expect an obviously biased but equally honest review soon afterward. Lastly: Those interested in Belgian brewing, and don't mind reading a little French, would do well to visit Ron Pattinson's blog. Check out this post on making lambic, faro and biére de mars in 19th century Brussels. By that account faro was made from second runnings, lambic from first (and strongest) runnings, with biére de mars being a "small" beer made from third runnings. For those who have no idea what that means, we're talking about running hot water through the grains multiple times to get successively weaker types of beer. 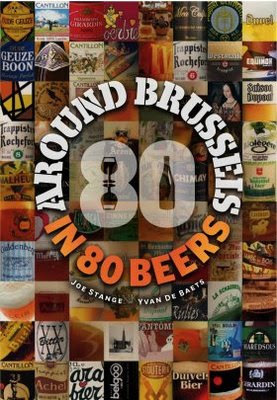 Since there were (I've been told) around 150 breweries in Brussels around that time, it may not be wise to put too much stock into any single account of how it was done back then. But it's damned interesting anyway. One blogger to another: two of the biggest spikes in traffic I ever had were for eulogies I wrote on hearing of the deaths of Michael Jackson and brewer Jay Misson. I didn't write them for traffic, I wrote them because I had lost friends and had to say something to honor them. If you write these things and rub your hands together with glee, that's wrong. But just writing them because you think it's important, you can't stop that. Don't worry about it.